Finally, Stu is done with his first semester at Regent! I had to keep quiet for several weeks while he had papers due and exams to pass, but now he’s got about a good month off before school starts up again, and the snow came at just the right time. Apparently, it’s quite rare for Vancouver to receive any snow, but we got a great snowfall and welcomed it like little kids by bundling up (snow pants, ski socks, ski gloves, down coats) and heading to our local park. 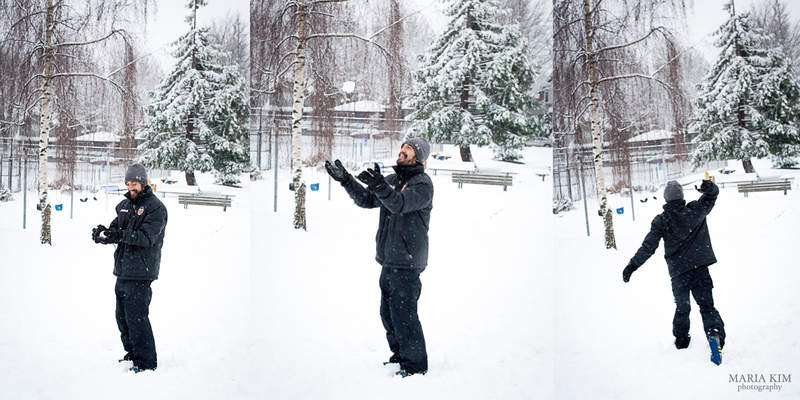 Stu proceeded to make some snowballs and repeatedly pegged the tree. I didn’t really understand what for and his answer was “I’m a boy!” Got it, Stu. 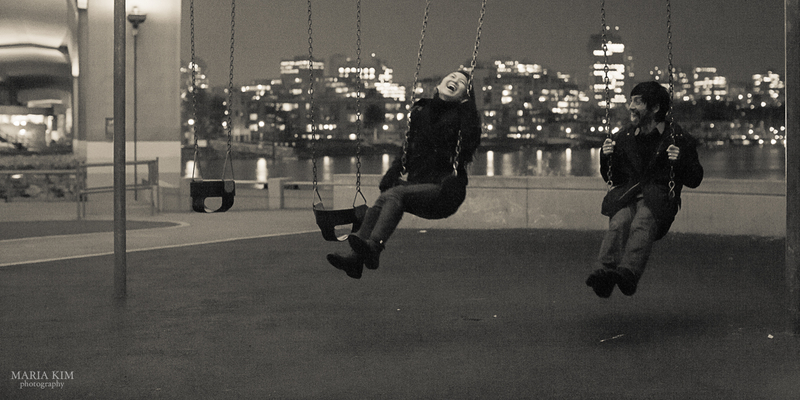 But I like how Stu wanted to hold hands in our swing photo, that was pretty cute. There were also tons of snowmen with carrot noses around. We even met a snow/ice/sand/stone sculptor who made a really cool snow sculpture right down the block from us. I guess when it snows Vancouverites really take advantage of it. This entry was posted in Couples, Portrait, Portrait Date!, Self-Portrait, Vancouver on December 21, 2013 by mkimadmin. I was trying to find a different location underneath Cambie Bridge where they have some cool art, but it was cold (about 6 C so somewhere in the 40s F), dark, and rainy, so we set up shop by the water at Coopers Park. It’s a kind of neat area as there are a playground and a set of hoops underneath the bridge. The most mind blowing part of the night though (well it wasn’t even 6PM at this point) was that there were people training for dragon boating on the water in the cold, dark, rain. And there were at least two boats full of people, not just one. Vancouverites, I am in awe of you. But the best part of our date was on our way home, we drove by a gelato store which jogged Stuart’s memory to a nightmare he had. His nightmare was that a scoop of ice cream was $11 in Vancouver, and he paid it because they had already scooped it and he felt bad. Funny that’s what he considers a nightmare. Oh Stu. 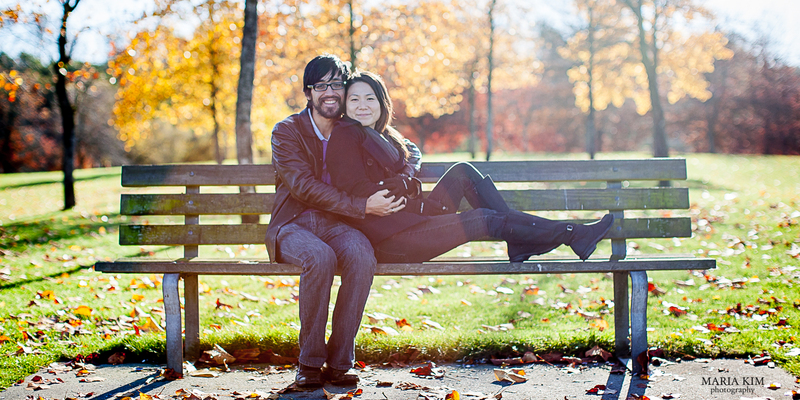 This entry was posted in Couples, Portrait, Portrait Date!, Self-Portrait, Vancouver on November 20, 2013 by mkimadmin. No, we didn’t actually go into the science center today. Hopefully we’ll get the chance soon, maybe when our nephews come to visit. They did have some fun statues and a junkyard xylophone on the grounds that we did play with however. Of course, Stuart had to have a photo with the T-Rex. I don’t know if this is geeky, but I’ve created a Google Map pinning our locations for our portraits. You know, just in case you wanted a visual representation of where in Vancouver we’re taking our portraits. 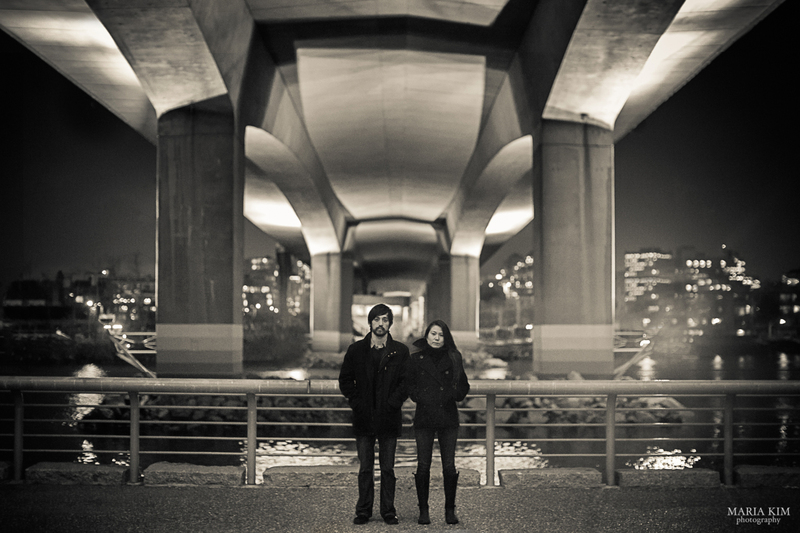 This entry was posted in Couples, Portrait, Portrait Date!, Self-Portrait, Vancouver on November 11, 2013 by mkimadmin. A beautiful day in Vancouver after several days of rain, but the days are certainly getting colder! Well, all the locals seem fine with the temperature. We may need to start finding some indoor locations for our portrait dates. What saved time and warmth this time though was that I got some batteries for my remote control. We had a fun weekend: brunch at a frirend’s place, Game Night at our place (consisting of friends, Bomberman, Carcassone, Taboo, and Bananagrams), a Home Depot run (you need local insurance to rent the trucks there, which apparently you can get a day’s worth of insurance through ICBC), church, portrait date, and then I had a fun session with a local family today at Stanley Park that I can’t wait to post. Ridiculously cute kids! 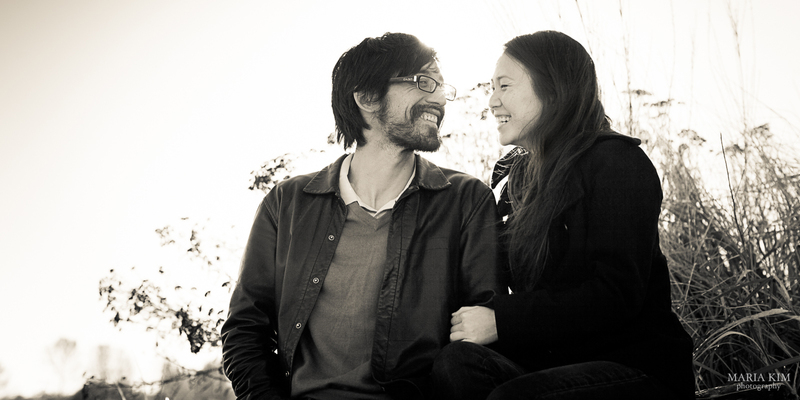 This entry was posted in Couples, Portrait, Portrait Date!, Self-Portrait, Vancouver on November 3, 2013 by mkimadmin.